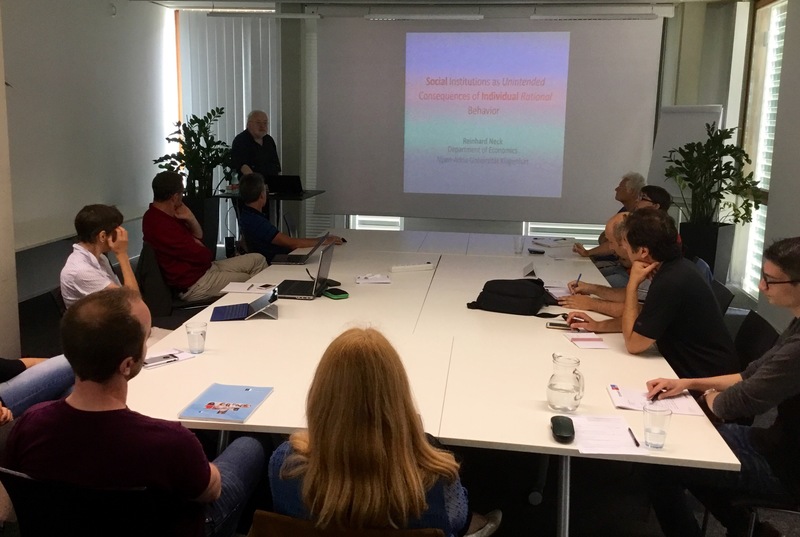 W. Elmenreich (NES) and A. Kercek (Lakeside Labs): will introduce a new Horizon 2020 project: CPSwarm — Swarms of Cyberphysical Systems. Date: October 06, 2016 at 09:30 – 10:45 am. We model leadership, competition, and decision making in teams with heterogeneous membership composition. We show that if the choice of leadership in a team is imprecise or noisy — which is arguably the case if appointment decisions are made not only by experts but also by less well-informed executives — then it is not necessarily the case that the best individuals should be selected into a single team. On the contrary, and in line with what has been called the “Apollo effect,” a team consisting of unambiguously higher performing individuals may perform worse in terms of team output than a group composed of lower performers. We characterize the properties of the leadership selection process which lead to the Apollo effect and clarify when the opposite effect — in which supertalent teams perform better than comparatively less qualified groups — takes place. Joint work with Alex Gershkov. 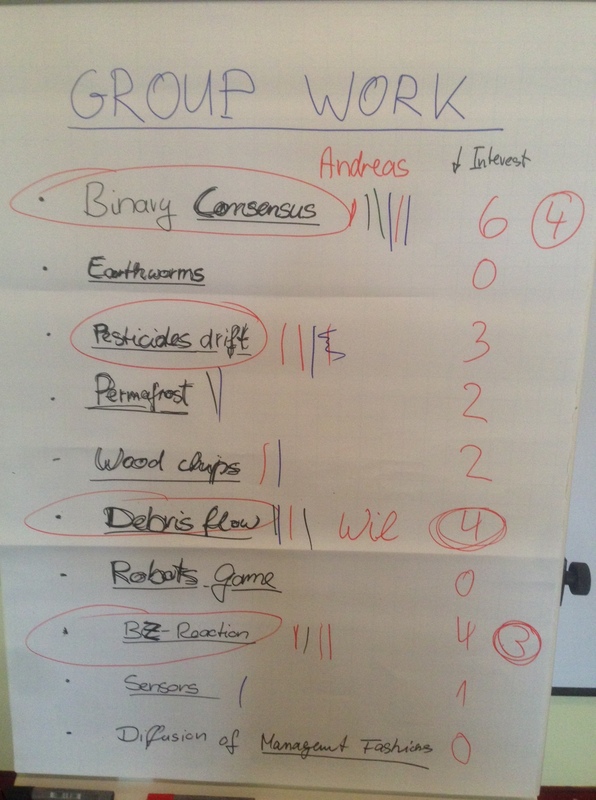 The second retreat of the research cluster “self-organizing systems” took place on October 6 and 7, 2014, in Pörtschach. Review the work done so far in selforg.aau and discuss and plan future activities. Christian Bettstetter, Wilfried Elmenreich, Kirsten von Elverfeldt, Glenda Garcia-Santon, Pasquale Grippa, Mihnea Hristea, Andreas Kercek, Norbert Reichmann, Peter Mandl, Martina Umlauft, Vladimir Vukadinovic, Friederike Wall.